If visitors to Oaxacan cooking school La Casa de los Sabores came away with nothing more than great recipes and a gastronomic meal rich in unique herb- and spice-accented flavor combinations that are the hallmark of Oaxacan cuisine, they would leave fully satisfied. 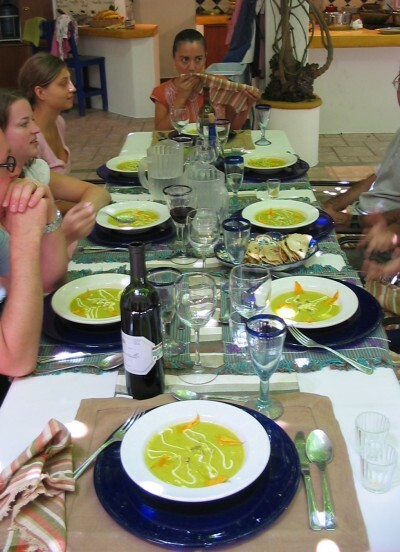 But a visit with owner and chef extraordinaire Pilar Cabrera also inspires and sates travelers with a sensual day-long immersion into sights, sounds, smells and, yes, tastes and time-tested recipes of southern Mexico. As always, a recent culinary odyssey with Pili, as she is known, began at La Casa de los Sabores first thing in the morning – at 9:30 a.m. Over the next few hours, she introduced me and the others in the class to the wisdom and experience of her great matriarchal culinary tradition. Pili learned the basics and the subtleties, including the mysteries of the famed seven moles, from her grandmother, who learned from her grandmother before her. She is a Oaxaca-born master of southern Mexico cookery as well as international epicurean trends, capable of sharing the secrets of preparing the most multifarious meal with novice and expert alike – in English and in Spanish. Our day began with Pili's informal talk about the menu and the foods she was going to introduce us to in one of Oaxaca's colorful markets. 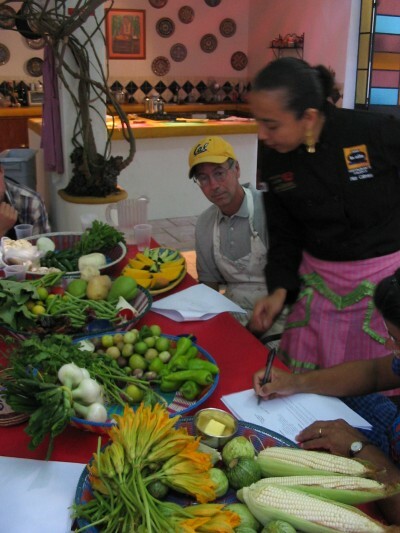 The extra attention to the key ingredients of Oaxacan cuisine kept us spellbound. "What we will achieve today with the chilis," she told us, "is hot and tropical … with the Chile de agua, you will see we use it not only for flavor but color as well, and I will teach you how we keep this beautiful, brilliant green." Once prepared with this knowledge, we all embarked on a shopping trip to the well-known marketplace, Mercado de La Merced, armed with multhued bolsas – market bags – to carry the compras – purchases. Pili had readied a partial shopping list, but, she advised us, she always adds "surprises," such as fresh foodstuffs which peasant women from the mountains sometimes bring down. "When you have a chance to find something real special or unusual, you buy and incorporate into the comida," she explained. "Today, for instance, we look for mushrooms, because they grow so beautifully in the rainy season.  Also, we will see what kind of fresh fruit we can use for the dessert." Her insights into the unique stores and small factories enriched the short walk to the market. A rich bouquet drew us into a mill that was making chocolate from scratch. As Pilar told us about the ingredients – cacao, cinnamon, almonds and sugar – the owner welcomed us with, "do you want to taste?" 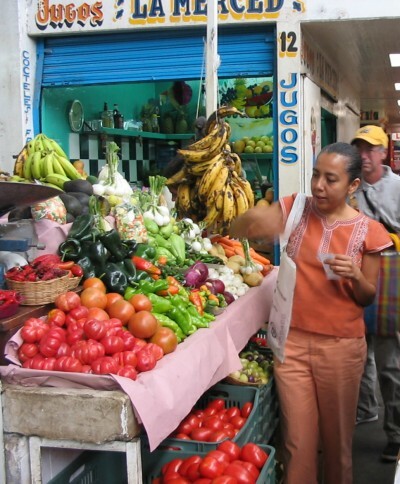 The lesson began in earnest when Pilar began methodically searching through the indoor and outdoor portions of the marketplace and exchanging pesos for its plethora of fresh produce. "Look at that lady sitting there, what she has in those bowls," she said. "She just brought those raspberries and blackberries from the Sierra Juarez. We can use them for the dessert. Notice how fresh and beautiful. The mushrooms beside them, see the size, how big and the bright orange color … this is the time of year, but not for our recipe today … Over here, we don't buy the big green tomatillos. I prefer the little ones grown locally because they are not acidy like the others, and they have much more flavor, perfect for the salsa we are preparing today." She encouraged us to smell the herbs as she explained their use in particular Oaxacan dishes. "Today we use this yierba santa for the mole," she said as she was examining samples of the fragrant leaf until she'd found the best and freshest for storage in one of our bolsas. "But we also use it to wrap fish and make tamales." Andrea who had been in Puerto Escondido on the Oaxacan coast for six months, expressed the wish of many as she lamented, "I wish I'd been in this class at the beginning of our trip." Our enthusiasm and our appetites grew once we returned to Doña Pili's well-equipped, spacious kitchen. Its wide counters, food preparation island and eight-burner gas stove opening onto the lush courtyard dining area made this cocina into an ideal classroom. While we were reviewing printed recipe sheets for the dishes we were about to prepare, she displayed our purchases in baskets filled with the components of each recipe to help us learn why we bought what. Then we spent the next two hours preparing a sumptuous four-course meal. Mary, her sous-chef, did preparatory work such as halving limes, slicing chilies and preparing chicken stock and poultry for the mole, freeing Pili to teach us the rituals and secrets of Oaxacan culinary seduction. Sparks from Pilar's hearth of experience ignited even the most learned in the class as she pointed, touched, and passed around each item we purchased, telling us how it would be incorporated into the meal. Once the actual cooking began, she put her bilingualism to good use, giving instructions and asking questions in one language, then repeating it in the other, as required by some of her visitors. "Necesito otro ayudante para quesillo, I need another helper for the cheese." Pilar might as well be a Maestra de Español, a Spanish teacher to boot. Casa de las Sabores Kitchen More Photos Everyone learned each task and participated in the preparation of virtually all menu items. And as the group peeled, diced and sautéd, Pili's gems of information flowed on. We learned much more than how to achieve flavor. Pilar taught us techniques on how to attain desired tones and textures: "A lot of people ask me about cleaning mushrooms," she said at one point, demonstrating the correct technique. "Now watch to see how we clean and seed this kind of chili," she pointed out while preparing chile guajillo for the mole. "Once we start cooking these chile de agua, we need to remember to always check them and turn them constantly." "Look for the hot part of the comal … now this is when you know when to turn it over," she said while demonstrating the art and science of making tortillas. Every once in a while a new recipe rolled off the tip of her tongue as we worked … other dishes we could prepare with this particular mole; different fillings for the quesadillas such as potato, chorizo or huitlacoche, the exotic corn mold ... the texture we would want for the corn masa if we were making tamales rather than tortillas. Soon, aprons removed, we were ready to feast. But first – "now before we sit down, remember in the market I told you there were two types of gusano worm? Here they are, so who wants to try?" she asked. "Now know about mezcal. Taste this one Alvin brought, and tell us how it seems to you. Here's another kind. What do you think is different about this one?" We sat down at a table exquisitely set with local hand-made linens, dishes and stemware. Bottles of Mexican and Chilean red wine were already breathing. The fine music of Oaxacan songstress Lila Downs serenaded us in the background. Pilar reminded us that her grandmother and other relatives usually prepare their comidas with meat and all vegetables mixed together in the mole, a plate of rice on the side, and a bowl of broth. But our meal, like all the recipes she prepares with visitors at La Casa de los Sabores, would be her modern take on all the elements and flavor combinations of the best that contemporary Oaxacan cookery has to offer. It was a celebration of every ingredient. We began with wild mushroom, onion, tomato, chili and cheese stuffing in the quesadillas de champiñones (mushroom quesadillas), complemented perfectly by smoky salsa verde asada (green sauce from the grill) served in its molcajete. Then it was time to calm our palates with bright yellow crema de flor de calabaza (cream of squash blossom soup), garnished with a drizzle of real cream, toasted calabaza seeds and indeed fresh squash blossoms. The main course or plato fuerte was mole amarillo – tender slices of chicken breast atop a sea of aromatic deep saffron-colored mole, accompanied by a medley of crunchy-fresh steamed vegetables. To conclude, arroz con leche (rice pudding), speared with a length of wild vanilla bean and crowned with berries that had been picked only the day before. I left convinced that the grandest chefs at the most trendy Manhattan beaneries would be hard-pressed to compete with this petite Oaxaqueña's ability to marry the region's complex cooking with post-modern attention to color, texture and flare. For Pilar Cabrera, it comes naturally. For the rest of us, it comes with a visit to her home.